Certain products transcend their purpose and become icons of their era. 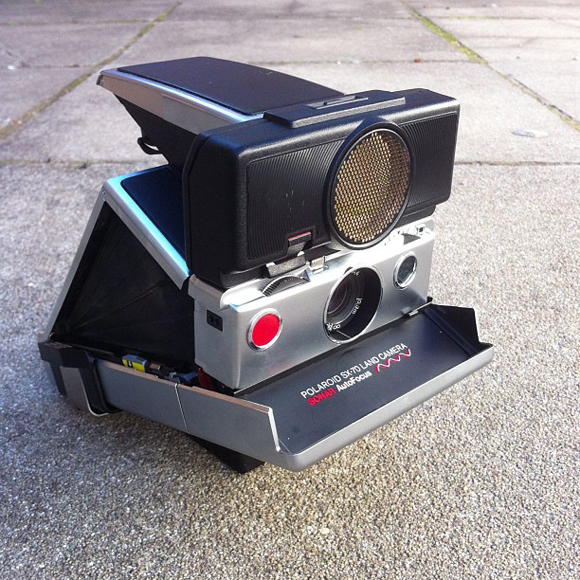 One example of such an icon is the Polaroid SX-70 folding camera. The camera introduced a host of new technologies, featured some of the best industrial design ever seen, and created an entire new culture around instant photography. 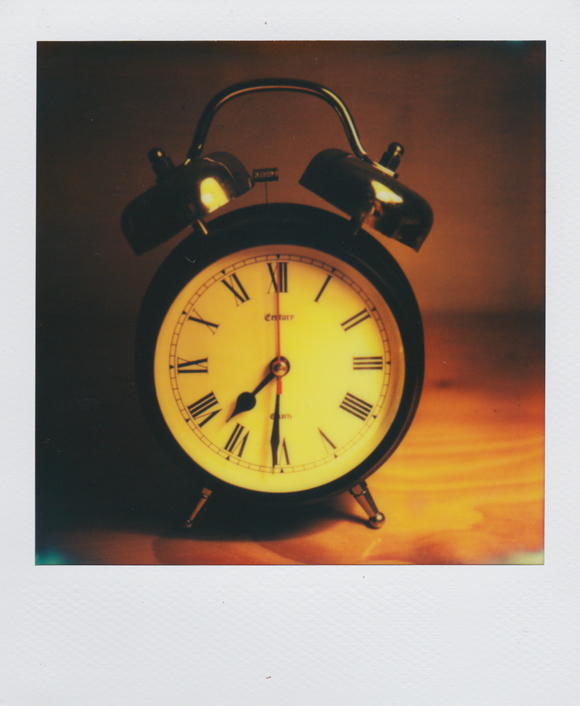 Unlike the Polaroid peel-apart packfilm I wrote about last month, the SX-70′s integral instant film ejected and processed itself automatically – you could actually watch as the image appeared right before your eyes. While this doesn’t sound like much in today’s age, just imagine living in the 70s and experiencing this for the first time and you might begin to understand how innovative it was. 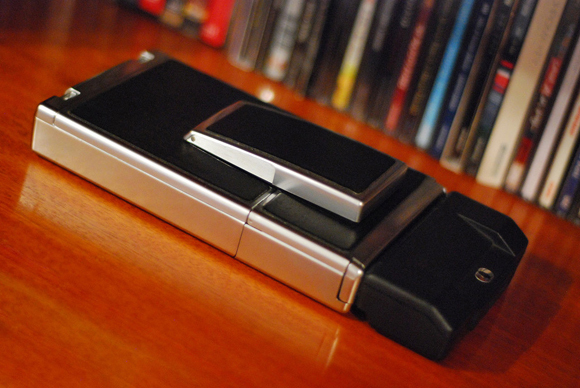 Besides the new instant film format, the SX-70 introduced a couple of other novel features, such as fully electronic shutters and autoexposure. 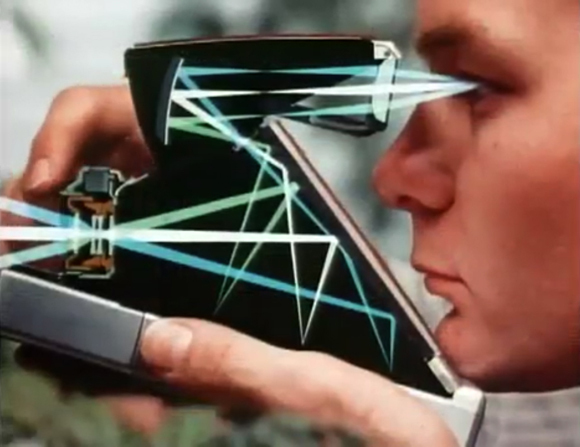 The later Sonar models even featured autofocus, which worked by bouncing sound waves off the subject. This meant that Polaroid produced a larger-than-medium format folding SLR with autofocus and autoexposure years before the likes of Canon and Nikon created similarly featured 35mm SLRs! Notice the complex path that light has to take through the camera – it’s nothing short of genius. 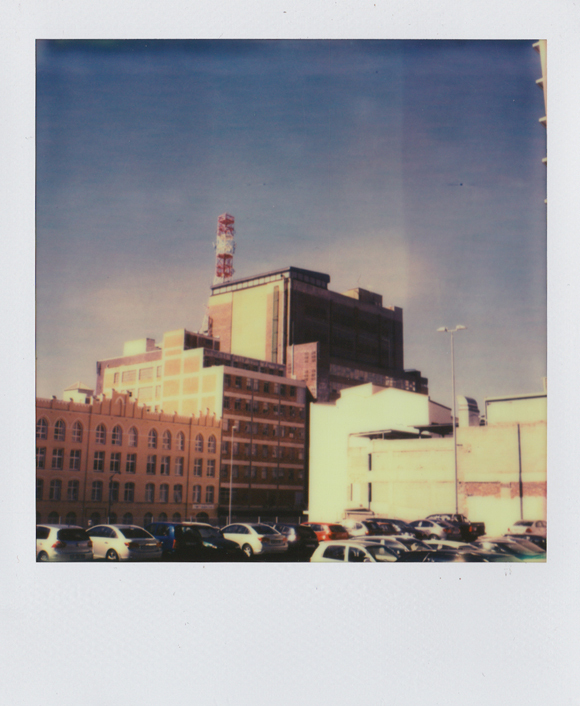 Looking through the viewfinder of an SX-70, you’ll notice that it’s not as bright or as clear as a modern DSLR, but considering the size of the format and complexity of the light path, it’s a wonder you can see any image at all. Matching the incredible technology inside the camera, the industrial design is almost perfect. The body of the camera is designed from glass-filled polysulfone, a strong plastic which is plated with a chromium alloy, giving the camera the durable appearance of metal, and the lighter weight of plastic. Patches of tan or black leather further add to the beautiful appearance, and when it’s folded up, no branding is visible at all – making it even more minimalist than an Apple product. 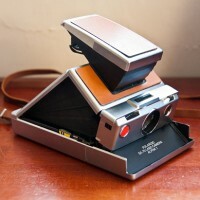 In my personal opinion, the Polaroid SX-70 is not only the most beautiful camera, but also one of the most beautiful examples of mass-produced products ever made. 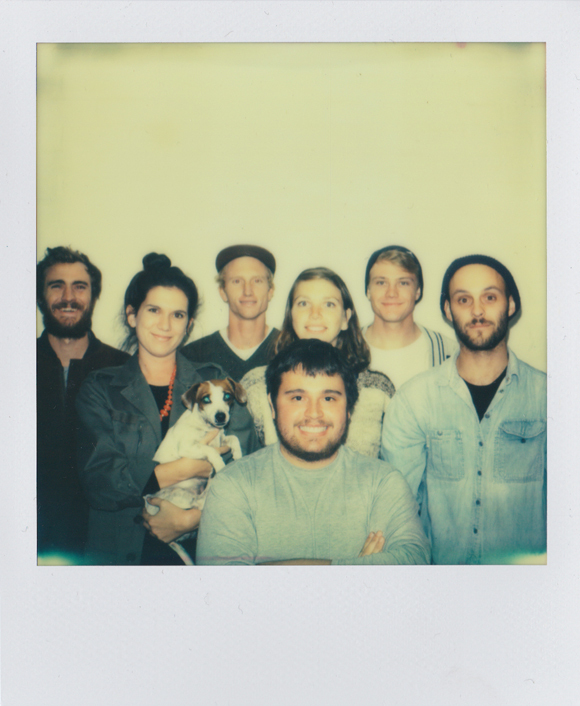 Unfortunately, original Polaroid Time-Zero film for SX-70s is no longer available, but thankfully Impossible Project has revived the format with their PX-70 and PX-100 films, which is available at Orms. Just be sure to shield your Impossible photos after they eject from the camera! If you’d like to try one yourself, there’s good and bad news depending on your budget. They’re pretty scarce in South Africa, so finding a working model for the right price can take months, but if you have the cash, a refurbished camera can be purchased from the awesome Mint store in Hong Kong: http://www.sx70asia.com/en/. Mint has even partnered with Impossible Project to create a new electronic flash for the SX-70, so you won’t need to keep purchasing disposable flash bars. If you have any questions about the camera or Impossible Film, please leave a comment below! 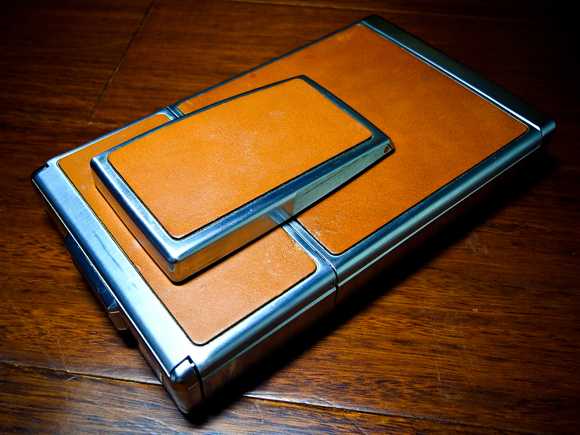 Some more pics of the Iconic SX -70. This Is Film © 2019. All Rights Reserved.